In 2015 #Apple released a smartphone that became quite popular in the market. 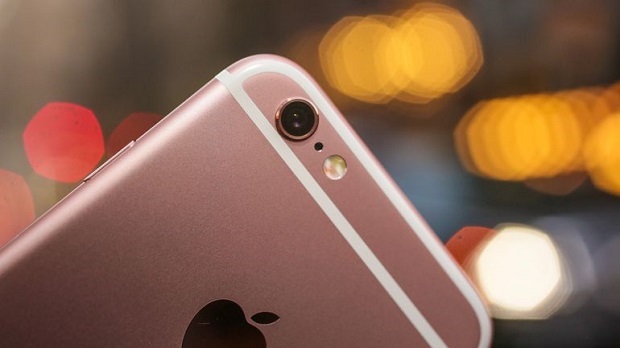 This was the #iPhone6S which is an improved version of the iPhone 6. Back then this was one of the most powerful smartphone models available in the market that allowed for apps to run smoothly. Today, a lot of people are still using this particular model as their reliable daily driver. There are however instances when certain issues can occur on the phone which we will be addressing today. In this latest installment of our troubleshooting series we will tackle the iPhone 6S shuts down gets stuck in Apple logo issue & other related problems. Problem: Hello. So I was using my phone yesterday when it suddenly turned off and began to restart but it wouldn’t go past the apple logo; then it was just stuck in a continuous loop. At first I thought it may be that the battery is dead so I plugged it in but nothing happened. Then I turned it off, left it for about 10-15 mins and turned on, it turned on for less than a min then got stuck in the apple logo loop again. Btw, when the phone was stuck in the loop, at one point I saw like white bars in the middle of the phone.. So I did some research online and read that I’ll need to restore my phone. I tried doing that but kept getting Error 4013. Almost gave up at this point, then I read about the DFU mode which I tried and the phone turned on. Now while attempting to restore and put everything back to normal, it shut down and got stuck in the apple logo loop again. It then turned on, just for a few seconds again and then off again. Turned on again, this time I just shut it down. I’m at such a loss. Can you please help?? Could it be the screen? Solution: The error 4013 that your phone is getting could mean that something is wrong with the charging port of your phone. What you will want to do right now is to clean this port first using a can of compressed air. Make sure to remove any dirt or debris stuck in this port. Once this is done you will need to restore the phone firmware using iTunes. It’s best if you use a new lightning cord when you perform this to eliminate any cord related issues. Before restoring your phone make sure your computer has the latest iTunes version and that you have a backup copy of your phone data. Select your iPhone when it appears in iTunes. Select the Summary tab, and click the Restore button. After the restore, the phone should restarts. You should then see “Slide to set up”. Follow the steps in the iOS Setup Assistant. If the problem still occurs after performing the above steps then you will need to bring the phone to the nearest Apple Store and have it checked. Problem: I recently just got my screen replaced on my iPhone 6s. I’ve noticed that my screen has a tint of blue to it and I was wondering if there’s anything I can do myself to fix it rather than going back to the phone repair place. Solution: What you can do right now is to backup your phone data then restore your phone as a new device. Once this is done and the screen still has a blue tint then this is mostly caused by a faulty display. You need to bring the phone back to the repair shop. Problem: I was using my phone and went to Whatsapp. However, it was taking very long to load. The screen was just white. I turned off the phone. Then, I pressed on the off and on button. The screen turned black around the edges, blue around the middle and white in the center. I turned it off then turned it on again. It was the same thing. I pressed down on the home button and siri appeared for half a second, then turned back to the black-blue-white screen. I repeated turning it on and off, but the screen remained the same. My phone suddenly dinged, as if i had a message, but i couldn’t see it as my phone screen was still the same. I tried restarting but it didn’t work. Solution: What you will want to do first in this case is to force the phone to restart. To do this press and hold the sleep/wake button and the Home button at the same time and keep holding the buttons for at least 15 seconds, or until you see the Apple logo on the screen. When the logo appears, release the buttons. If this doesn’t work then you need to enter the DFU mode then restore your phone using iTunes. The steps that you need to perform are listed on the first issue that we have addressed above. If after restoring your phone the issue remains you will need to bring the phone to a service center and have it checked.